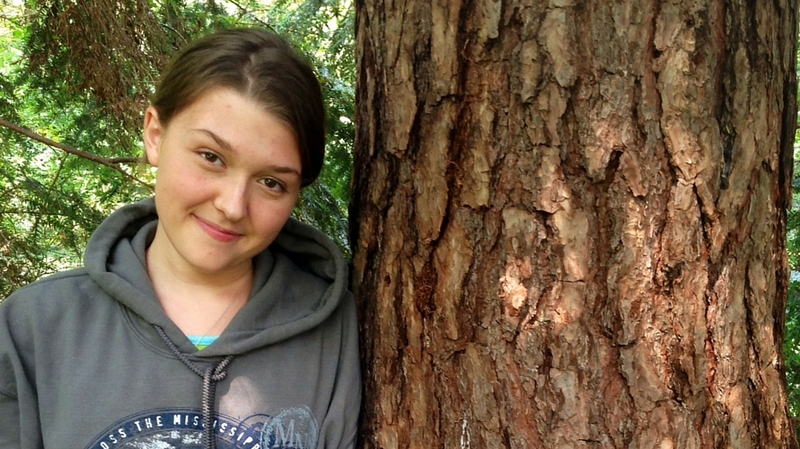 This weeks blog post is written by Freya, especially for Halloween! Read on…if you dare! at night, when you are fast asleep. 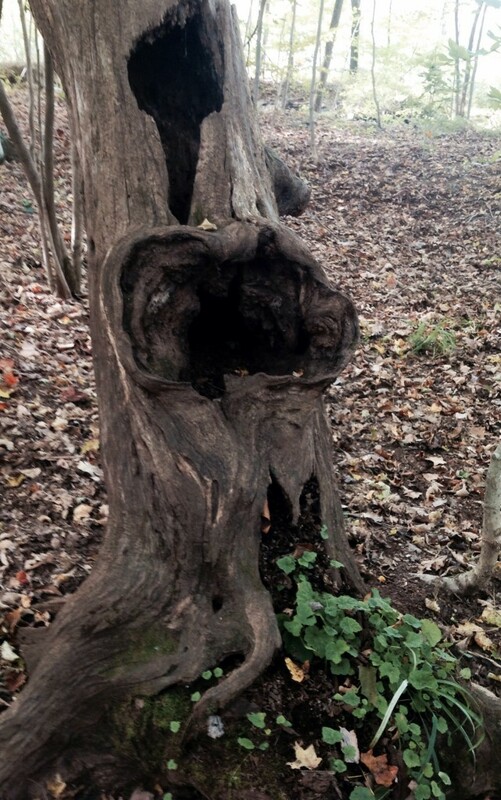 The spookiest tree holes I could find. I loved that poem when I was little, because it was “spooky” and my parents would say it with me in funny voices. But tree holes are a lot more than just Halloweeny atmosphere; they are crucial nesting spots for a host of animals. In North America, we have 85 species of bird that nest in tree cavities. Fifty-eight of those, woodpeckers, sapsuckers and flickers, actually do all the excavation work; they make ¾ of the tree cavities in North America, while the rest are made by decay. On this continent, because we have lots of birds making holes in trees, we have lots of critters who use ‘em. Interestingly, Australia has no species that make cavities, so there are hardly any animals that use them for nesting. 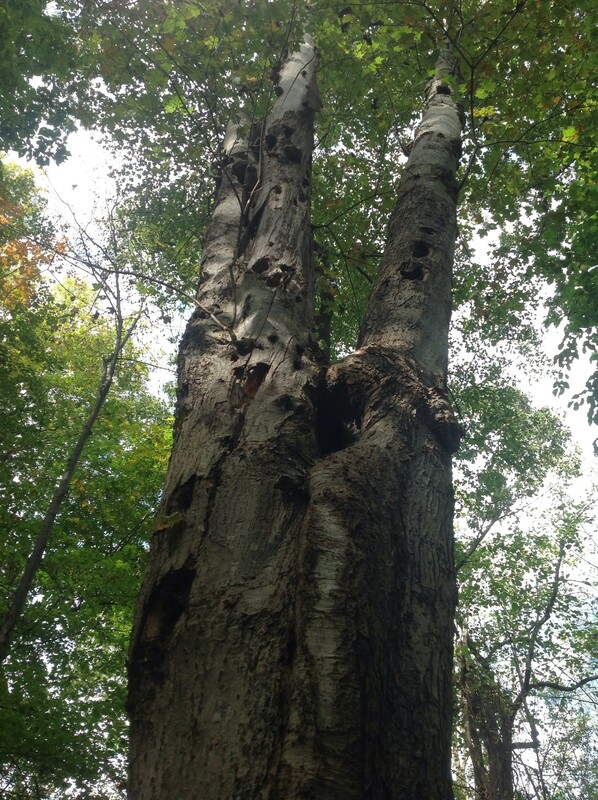 This tree shows cavities made by both woodpeckers and decay! Animals prefer to nest in live trees because they don’t rot, and aren’t as likely to fall. A nest in this tree is probably worth competing for. Lots of different mammals and birds who can’t make cavities for themselves still depend on them. They are nests for species of owl, falcon, vulture, other birds of prey, lots of ducks, and some songbirds. They are also the preferred nesting sites for squirrels, of the grey, red and flying varieties. Sometimes an animal without the beak and brain-armour to excavate, will get so desperate for a cavity that they’ll bully a woodpecker out of it’s current nest! 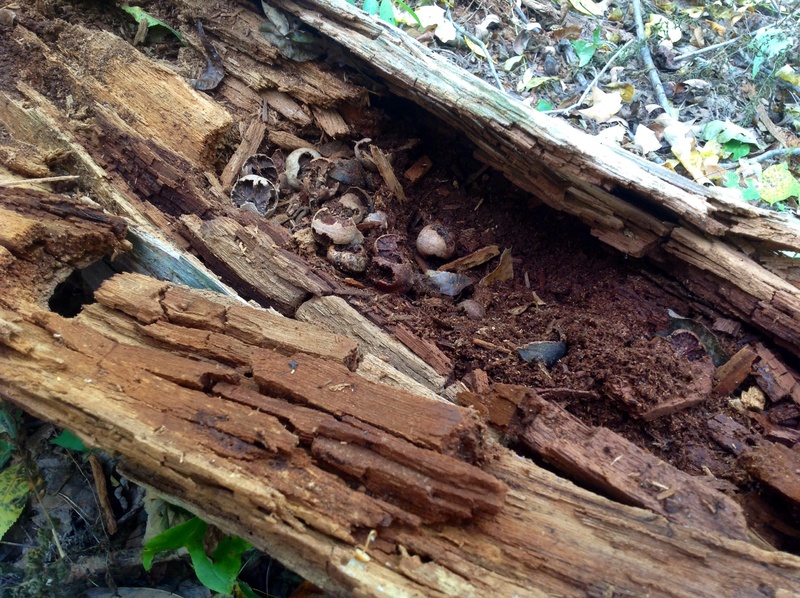 We got to take a closer look at an old tree cavity in this fallen log. Though woodpeckers make 77% of all tree cavities in North America, they are certainly not the only ones to use them. Check it out, this one was a pantry! And, of course, because it’s October, we have to talk about the bats! We think of them swirling out of haunted houses and church belfries, but their primary, original roosts are tree holes. There are around 1,000 species of bat worldwide, about forty species in the U.S., and nine here in Pennsylvania. 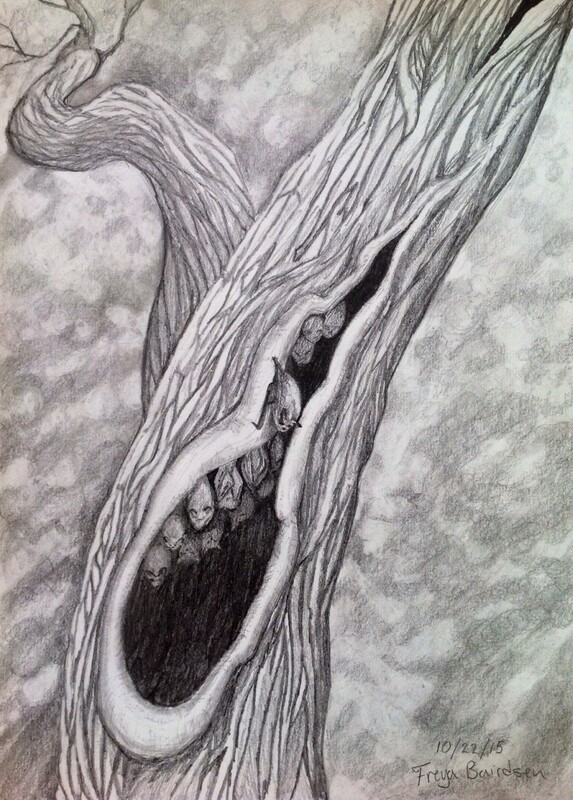 Though some roost in caves or for the winter, they all like to use tree cavities during the summer. Bats roosts shift during the year; in hibernation roosts in the winter, and females gather in maternity roosts in early summer to raise their young. In a year, each mother bat has a single baby, called a pup. Only some tree cavities will make suitable roosts. Maternity roosts are often higher in the canopy to take advantage of rising warmth, while hibernation roosts tend to be lower, in more insulated cavities, and any bat roost must get a certain amount of sunlight. As tree cavities have been made more scarce, bats have needed to make adjustments. They’ve come to rely on attics, eaves, barns and haunted houses. Unfortunately, here in the US, when people find they have bats the first reaction is to call bat control, get the bats out and bat-proof the building. People are afraid of rabies, but, it turns out that rabid bats are rare: out of all the weak, sick bats brought in for rabies testing, only 6% test positive. Our aggressive approach can really hurt local bat populations. As with so many things, the Brits do it better. Before someone in the UK can cut down a large tree, they’re encouraged to call the Bat Helpline and make sure there aren’t any current or potential bat roosts in it. If they think they have bats in their house, they can call to get advice and information for roost-owners. (Living With Bats is from the British Bat Conservation Trust and you can find it online; it’s a great resource). How cool would it be to have your own bat colony? A bat box kit is at the top of my Christmas list now! Big brown bats roosting in a tree cavity. All these cavity-nesting species evolved in the enormous tree cavity rich old growth forests that once covered great expanses of North America. 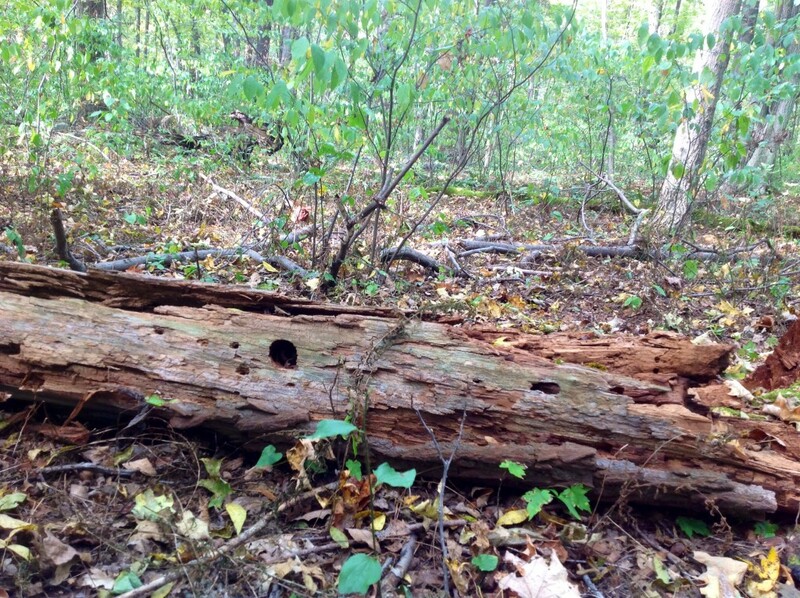 For a long time the value of old trees, dead or alive, to wildlife wasn’t recognized. The same big trees favored by these species are favored by the timber industry and after being logged, it can take a forest 150-200 years to develop old growth characteristics, including tree cavities. Even in our parks, until the 1970s, dead wood would often be removed for fire safety. Understandably, lots of cavity-nesting species are in trouble. Greater awareness of the value of large and standing trees, along with strategies like nesting boxes can help the situation, but his isn’t a conservation success story yet. 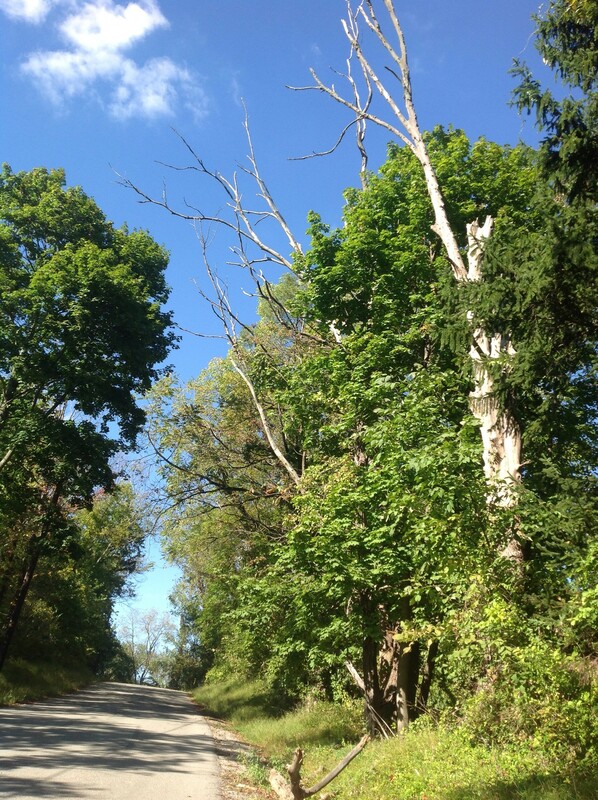 There are seven species of excavating birds in Pennsylvania, and this line of dead walnut trees along my road is home to one of them. We can spot red bellied woodpeckers almost every time we take a walk. Once we watched a pair doing a little head bobbing courtship dance together! Seeing their nesting holes and behavior is what first got me thinking about tree cavities.